Streamlined forms dictated by function. 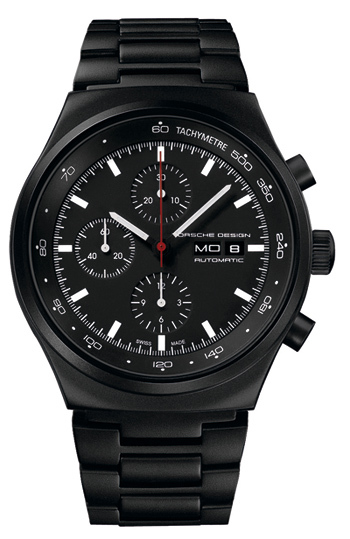 Presented at BaselWorld 2012, the new Porsche Design P'6510 Black Chronograph is based on the legendary Chronograph I - the horological debut of the brand - which Ferdinand Alexander Porsche designed in 1972. 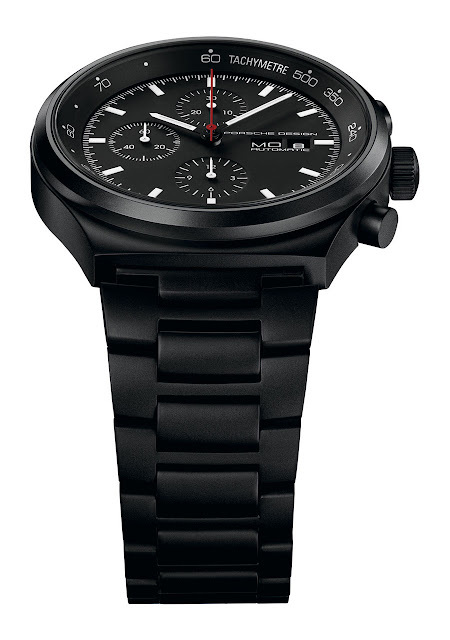 The Chronograph I was the first ever all-black watch, a bold move 40 years ago which anticipated the current trend. The diameter of the case gains six millimetres up to a masculine 44 mm size and the black is no longer lacquered but an even more hard-wearing PVD coating. Inside the P'6510 beats the Valjoux 7750 chronograph calibre with calendar function. Water-resistant to 100 m / 10 ATM and available in a limited edition of 911 numbered pieces.